Black Cinema’s Rise in 2018: In the Year of ‘Black Panther,’ Has Real Change Happened? With "Black Panther" shattering industry expectations of black cinema, and a historic push for diversity and inclusion, 2018 might signal a paradigm shift. “Black Panther” is a game changer. With over $1.3 billion worldwide, it shattered the long-standing, fallacious belief that black films don’t sell overseas. It also should close 2018 as North America’s highest-grossing film — a historic first for a film with a predominantly black cast, black writers, and directed by a black filmmaker. There’s another way to look at this: Deja vu. Hollywood’s interest in black stories surges, and then the “renaissance” is followed by a fallow period … until the next one. It’s a pattern that strips the consistency and continuity that’s essential for lasting change. In the late 1960s, following the Civil Rights movement and facing pressure from a socially and politically conscious black audience seeking full representations of their humanity, Hollywood responded with blaxploitation movies. (It didn’t hurt that Hollywood was in economic flux at the time.) This overdue recognition of the power of the black dollar helped solve Hollywood’s immediate fiscal concerns and, temporarily, its racial ones; the blaxploitation era came to a swift end. 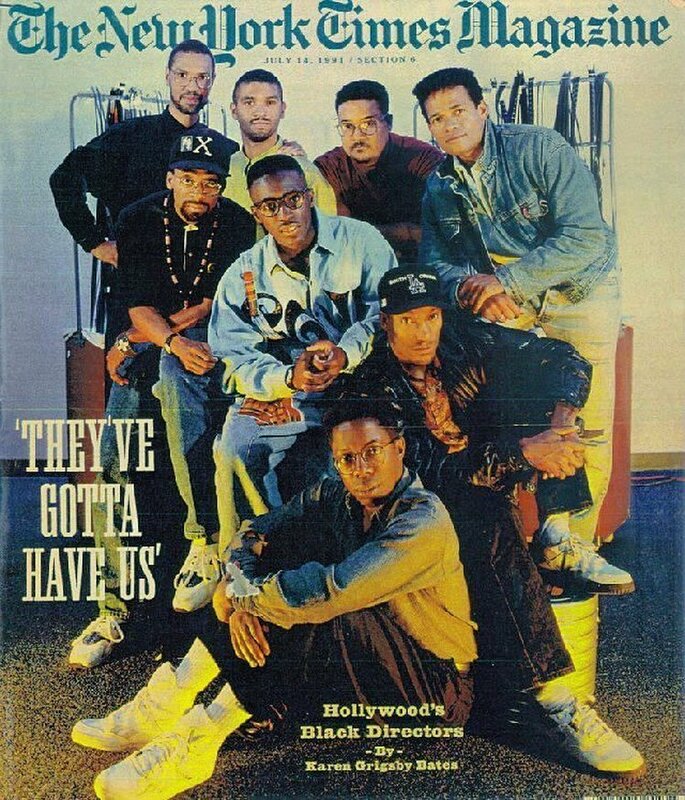 Some 20 years later, black film received fresh attention that was exemplified by the New York Times Magazine cover story, “They’ve Gotta Have Us: Hollywood’s Black Directors.” Featuring an all-male lineup of notable black filmmakers including Spike Lee, John Singleton (whose “Boyz n the Hood” debut effectively gave birth to the “hood movie”), the Hudlin brothers, Mario Van Peebles, and more, the piece highlighted the trials and triumphs of black filmmakers fighting for recognition in an industry that toggled between historically silencing their voices while wanting to embrace them at the same time. That crush didn’t last. So here we are again, faced with immense pressure from a socially and politically active black audience now backed by the influence social media and a rapidly changing environment that has studios grappling with disruptive technologies that demand diverse voices (and their potential financial boon). Certainly, this time it’s different? Studios are greenlighting more movies with black casts, and there’s diversity in the genres and types of stories being told. More movies with black casts are grossing over $100 million. In the last five years, more black directors received Best Director and Best Picture Oscar nominations than in the previous 90 combined. There are more film critics of color, with platforms that give their voices reach and influence, helping to shape the future of an industry amidst a kind of disruption it hasn’t experienced in the past. On the other hand, studies like those published by USC’s Annenberg and UCLA’s Ralph J. Bunche point to a continued lack of meaningful increases in diversity in front of and behind the camera. And there’s the box-office disappointment of “Widows,” Steve McQueen’s much-anticipated return to the big screen since 2013’s Oscar-winning “12 Years a Slave.” It starred powerhouse actors including Viola Davis, Robert Duvall, Liam Neeson, André Holland, Cynthia Erivo and more, in a film remake of the 1980s British TV series. McQueen’s film received strong reviews, but it’s made $38 million after a month in theaters and received no consideration from key awards groups. The statistics show growth in some areas, but not all. A January 2018 USC Annenberg inclusion initiative report, “Inclusion in the Director’s Chair,” analyzed 1,100 top-grossing movies released between 2007 and 2017 and found that 7.3 percent came from black directors. However, in 2018, that figure rose to 18 percent, with 18 of the 100 top grossing movies directed by black filmmakers. Black films comprise roughly 70 out of the 747 films released in 2018, or about 9.5 percent. This is compared to 4.5 percent in 2017, and 4.7 percent in 2016’s 35 (or 4.7%). This year also saw an increased contribution from African filmmakers to the American filmgoing experience. With titles like Rungano Nyoni’s vibrant satire “I Am Not a Witch,” Nosipho Dumisa’s Hitchcock-influenced “Number 37,” and others, there’s a new wave of young, film school trained African filmmakers intent on making bold cinematic statements that have international appeal. And they are just getting started. … and here’s what needs a lot of improvement. In 2018, 88 percent of the films by black directors had a black actor among the two top-billed cast. This suggests that the vast majority of directing opportunities for black filmmakers are linked to the race of the story’s leading characters. Of those 70 films, 30 were directed by filmmakers of African descent, which means most films that tell stories about people of African descent are directed by white filmmakers. Black women are still vastly underrepresented behind the camera; five of the 70 films were directed by black women filmmakers, and only one (“A Wrinkle in Time”) came from a studio. Of the 70 films, 30 centered on the lives of black women — but the overwhelming majority (93 percent) we re directed by non-black women. Finally: Of those 70 films, 47 were produced outside the studio system. At the studios, Universal claimed six, making it the most “black film-friendly” studio for the second time in the last three years. (It claimed that title in 2016 with five titles, and was second place in 2017 with two.) Sony takes the silver this year with four titles, and three each go to Lionsgate and Fox. The rest are distributed between Disney, Warner Bros., MGM, and Annapurna Pictures.